MyCV is a clear and fully responsive personal business card template, well organized and structured, well commented and documented. 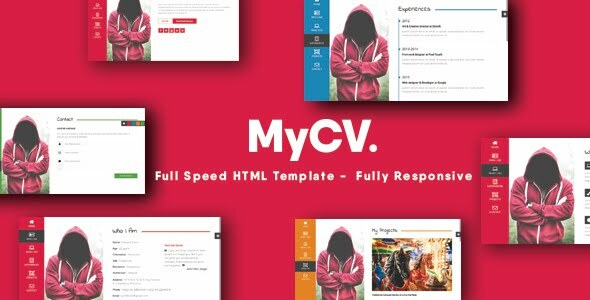 MyCV is easy to custumize and manipulate. The template is made in 4 different colors; pink, blue, orange and green.